This big stamp is from Judith. 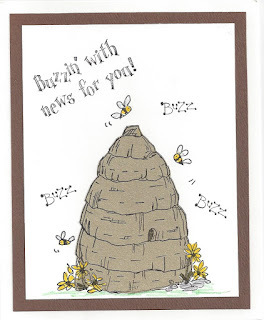 I just had to add the verse on top (from the Peddlers Pack) and the words Buzz around it. 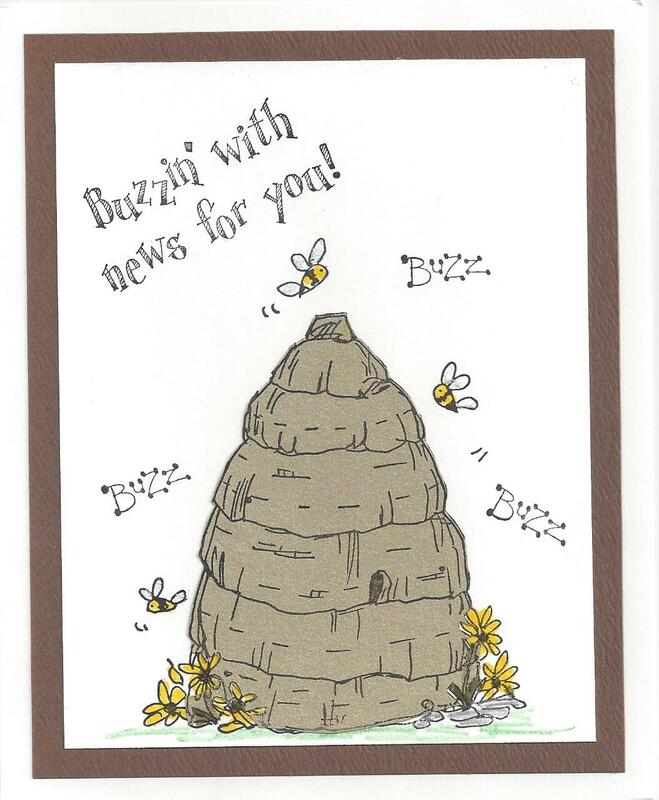 Sometimes I stamp the bee house on cork but this one was stamped on brown cardstock.